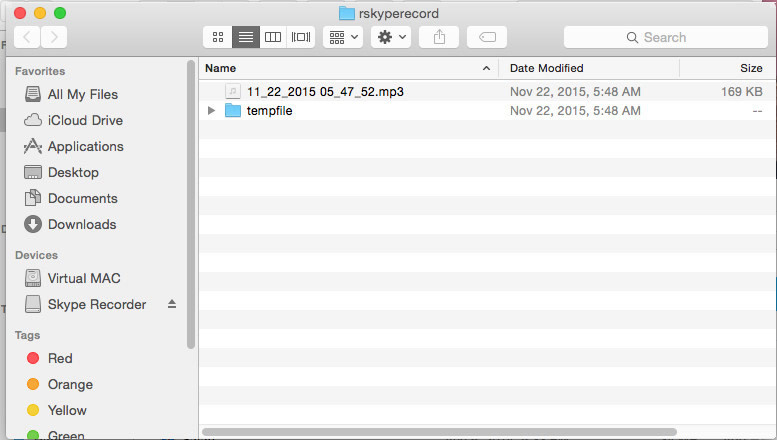 Skype Recorder for Mac is an extension of Skype Recorder for Windows. It runs automatically on Mac OS and record Skype calls clearly in MP3 audio files. Text notes are supported to be added to the Skype call recordings. 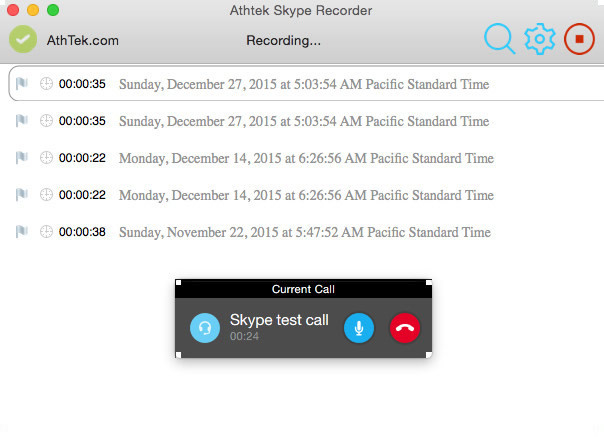 If you are looking for a reliable Skype recording tool for Mac, AthTek Skype Recorder for Mac is definitely the best choice you should never miss. It supports to run on Mac OS X10.10 or later, and to work with Skype v3.0 or later. A small recording panel will popup when it's working. Just like its Windows version, Mac Skype Recorder can be used for private Skype call recording or online interview recording. 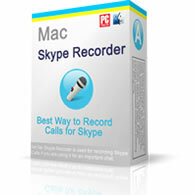 It is highly recommended to try Mac Skype Recorder before purchase. Also you can see the Windows version in this site. 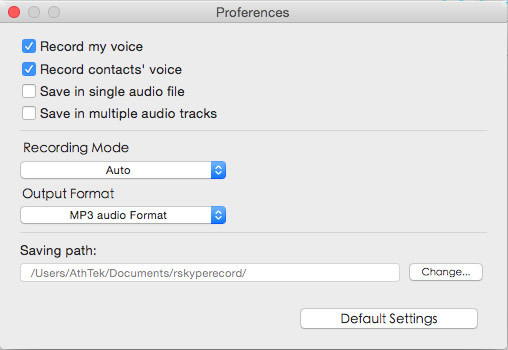 Automatically records: Mac Skype Recorder supports to record Skype calls automatically on Mac. It starts with your Mac OS and records whatever you say in Skype call. High quality Skype call recording: Mac Skype Recorder will record Skype calls in high quality audio files. Add memos: Mac Skype Recorder supports to add shot memos to any of the recordings. A significant memo can greatly help user to identify the recording. Smart panel: when it starts to record Skype calls, a small smart panel will pop up. User can control the recording by clicks. Yes! I want to buy a registration key to register Mac Skype Recorder. I will take responsibility to all the results in my usage. Mac Skype Recorder has a clean interface. Even a computer novice can use it for Skype call recording on Mac. If it was the first time you use Mac Skype Recorder, you will be asked to allow its access to Skype. 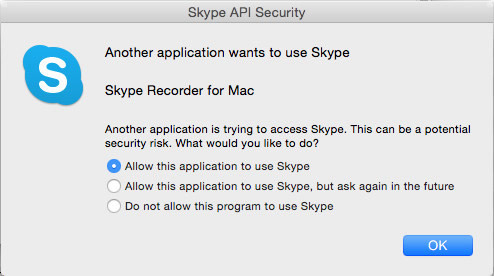 Please allow Mac Skype Recorder to use Skype. You can set how you want Mac Skype Recorder to work. After a Skype call, the recording will be saved into the destination folder automatically as below.